Akard Place will include a 20-story multifamily tower, a 16-story office tower and 75,000 square feet of retail and restaurant space. DALLAS -- RED Development will develop Akard Place, an 800,000-square-foot mixed-use project in the Uptown submarket of Dallas. 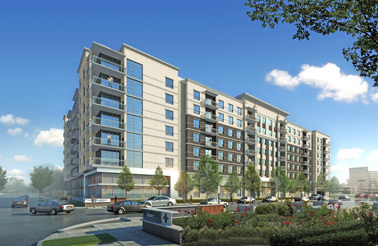 To be located at the intersection of Field Street and Cedar Springs Road, the complex will include a 20-story multifamily tower with approximately 300 units, a 16-story office tower and 75,000 square feet of street-level retail and restaurant space. 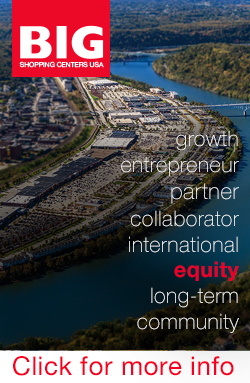 RED is partnering with locally based StreetLights Residential on the development of the multifamily component. Seattle-based Graphite Design Group is serving as design architect on the project, while Houston-based The Office of James Burnett is working as landscape designer. Burson Holman and Shannon Brown of CBRE will lease the office space. Akard Place is scheduled to open in 2017. First Pinnacle Industrial Center will consist of two Class A distribution facilities, with one spanning 376,424 square feet and the other 221,714 square feet. 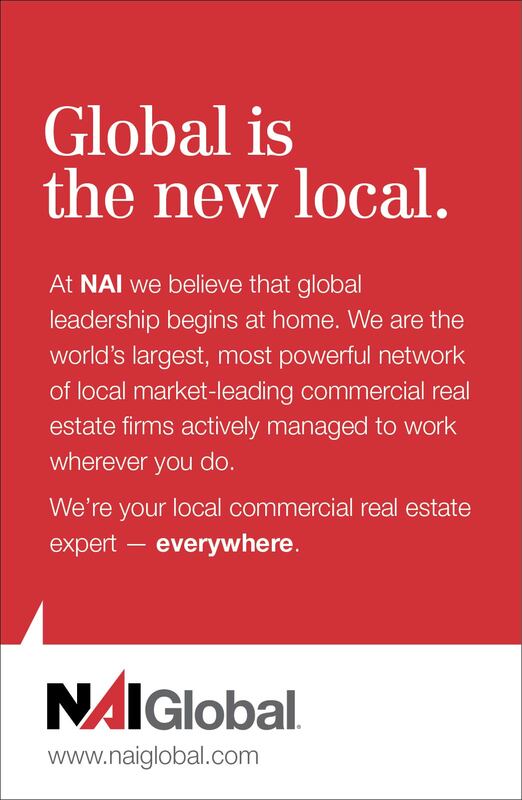 DALLAS -- First Industrial Realty Trust has begun construction of First Pinnacle Industrial Center, a two-building, 598,000-square-foot industrial complex in Dallas. The Class A distribution facilities -- one 376,424 square feet and the other 221,714 square feet -- will each feature 32-foot clear heights and dock-high loading doors. 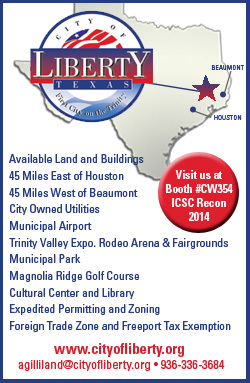 Located on 49 acres at 1241 N. Cockrell Hill Road, the project is in proximity to I-20, I-35 and Loop 12. The facilities are expected to be ready for occupancy as early as the fourth quarter of this year. Terry Darrow and Nathan Orbin of JLL are leasing the property. Pearl Residences at CityCentre will include 148 units ranging from 750 to 2,500 square feet in size. HOUSTON -- The Morgan Group Inc. has broken ground on two new multifamily properties near Houston's Energy Corridor submarket. The projects, Pearl CityCentre and Pearl Residences at CityCentre, are located on a 4.6-acre site in proximity to the CityCentre mixed-use development. Pearl CityCentre will stand seven stories and offer 312 units ranging from 650 to 1,500 square feet, while Pearl Residences at CityCentre will stand eight stories and offer 148 units ranging from 750 to 2,500 square feet. Wallace Garcia Wilson Architects is designing both buildings, and Wells Fargo is providing construction financing. 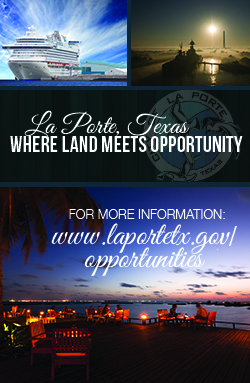 Both properties are scheduled to open in the fall of 2015. 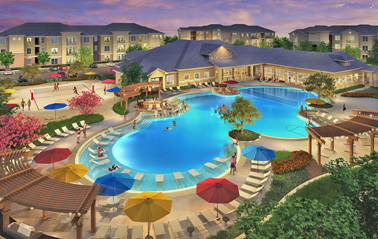 The Domain at Waco will include amenities such as a swimming pool, sand volleyball court and outdoor fire pit. WACO, TEXAS -- Asset Campus Housing (ACH) will develop The Domain at Waco, a 564-bed, off-campus student housing community serving Baylor University students. The 186 units will offer a mix of one-, two- and four-bedroom residences, each fully furnished and featuring granite countertops, stainless steel appliances and washer and dryer. Amenities at the property will include a clubhouse, swimming pool, internet caf�, sand volleyball court, fitness facility and outdoor fire pit. 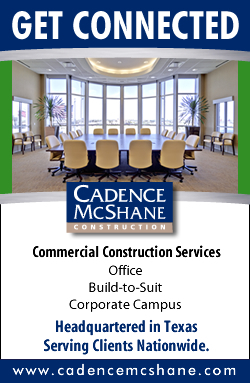 Construction will begin this quarter and is expected to conclude in time for the 2015-16 school year. 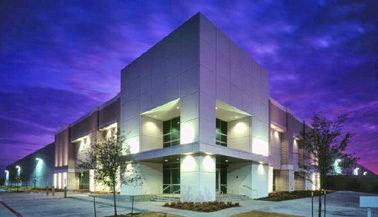 ACH will manage the facility upon completion. Located on Sam Houston Parkway near Beltway 8, Beltway Exchange at Colony Crossing will feature a rear-load truck court, 28-foot clear heights and numerous loading doors and ramps. MISSOURI CITY, TEXAS -- ICO Commercial has broken ground on Beltway Exchange at Colony Crossing, a 90,000-square-foot flex building in the Houston suburb of Missouri City. 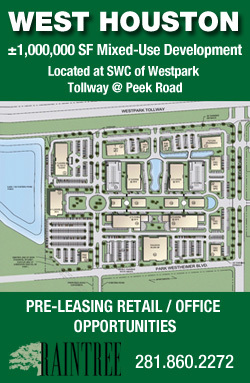 Located on Sam Houston Parkway near Beltway 8, Houston's outer loop, the project is suited for one or multiple tenants. The tilt-wall facility will feature a rear-load truck court, 28-foot clear heights and numerous loading doors and ramps. Delivery is slated for August. Completed in 2013, Villages at Paso Real includes 180 units, a swimming pool, fitness center, clubhouse and media center. 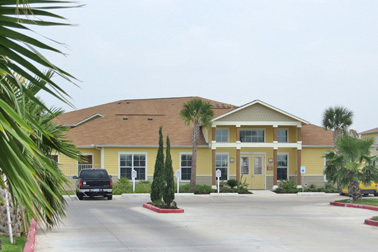 SAN BENITO, TEXAS -- Dougherty Mortgage LLC has arranged a $10.2 million loan for the refinancing of Villages at Paso Real, a 180-unit multifamily property in the south Texas city of San Benito. Completed in 2013, the community offers one- to three-bedroom apartments, as well as a swimming pool, fitness center and clubhouse with media center. The complex is located at 349 S. Helen Moore Road, in proximity to I-69. The Fannie Mae loan includes a term of 12 years. Amberwood Apartments, which is located at 800 Hamsted St., offers one- to three-bedroom apartments. FORT WORTH, TEXAS -- Marcus & Millichap has brokered the sale of Amberwood Apartments, a 60-unit multifamily property in Fort Worth. 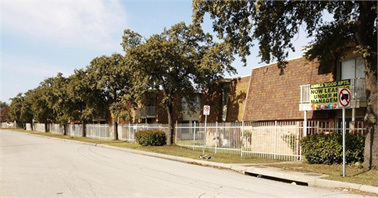 Constructed in 1969, the garden-style complex is located at 800 Hamsted St., in proximity to I-20, I-35 and the Fort Worth central business district. The community offers studio and one- to three-bedroom floor plans, as well as a swimming pool and laundry facility. 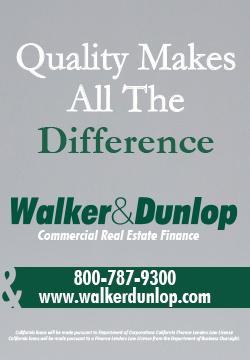 Mark Allen and John Barker of Marcus & Millichap marketed the property on behalf of the seller, a private investor. 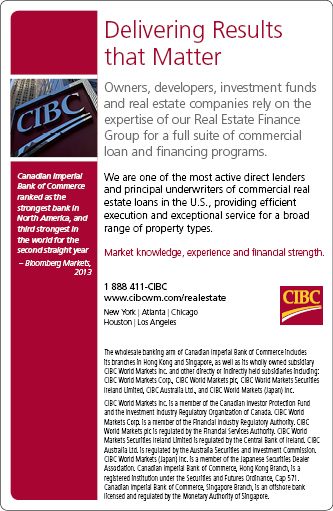 Mason Green, also of Marcus & Millichap, secured the buyer in the all-cash transaction. 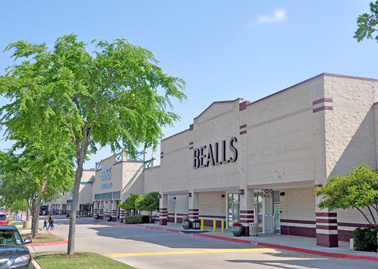 Bealls joins a tenant roster at Grapevine Towne Center that also includes Target, Office Depot, Ross Dress for Less and Big Lots. GRAPEVINE, TEXAS -- A new 25,000-square-foot location of retailer Bealls has opened at Grapevine Towne Center in the Dallas/Fort Worth suburb of Grapevine. The apparel, accessory, cosmetic and footwear store relocated from a site along Northwest Highway. Grapevine Towne Center, located at the intersection of SH 114 and William D. Tate Avenue, also houses Target, World Market, Office Depot, Ross Dress for Less, eatZi's Market & Bakery, Big Lots and Sprint. The Weitzman Group arranged Bealls' lease, and Cencor Realty Services manages the property.